Mom speaking. Guess what? Summer's here! Ok, calm down, summer isn't really here. Not for two more days. But that didn't stop us from trying to will it here sooner with a s'mores party. 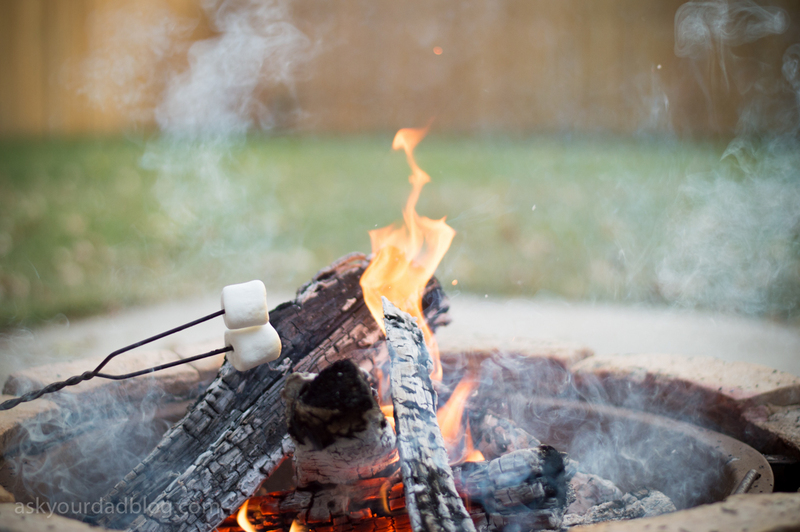 With our marshmallows, chocolate and Honey Maid Graham Crackers, we are ready to make s'mores night! 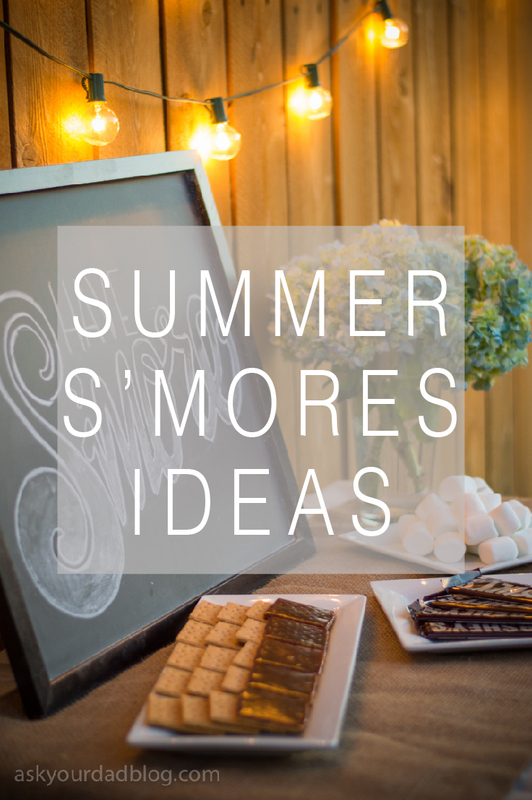 S'mores are a quick, easy solution for summertime snacks! Duchess had her first s'more last summer and has been asking about them every since. We'd been waiting for another camping trip or big holiday but decided, what the heck? 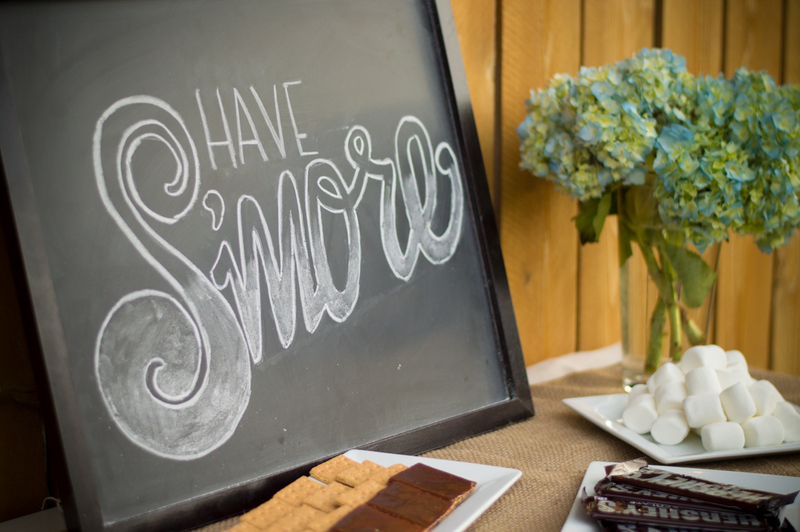 S'mores day every day. For every s'mores party, you need the classics: Honey Maid Graham Crackers, Kraft Jet Puffed Marshmallows and Hershey's Chocolate Bars. We headed to Walmart to get all our gear for our little shindig. 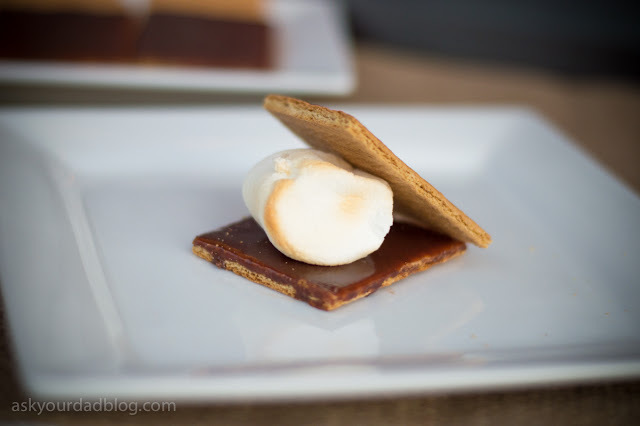 Anyone can tell you how to make the classic s'more. Crackers, chocolate, marshmallows, add fire. Sound familiar? Well let's shake up your party a little. 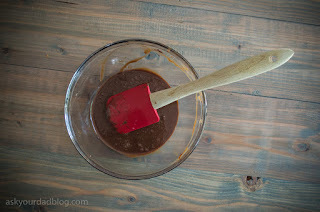 Warm some heavy cream in a sauce pan and slowly poor it over some chopped Hershey's chocolate bars (equal parts cream and chocolate). And hey, if you're feeling crazy, add some whiskey to it. Why not? 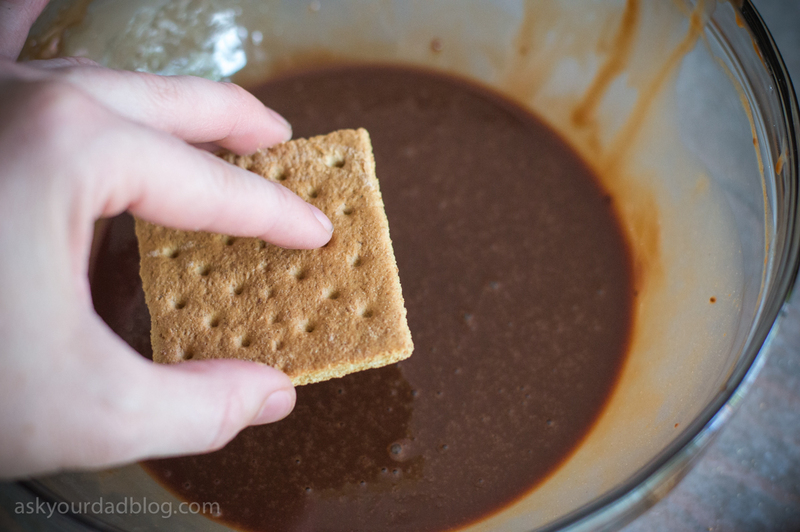 Dip one side of your graham cracker in your ganache (didn't know it now had a fancy name, did you? Now you do.) 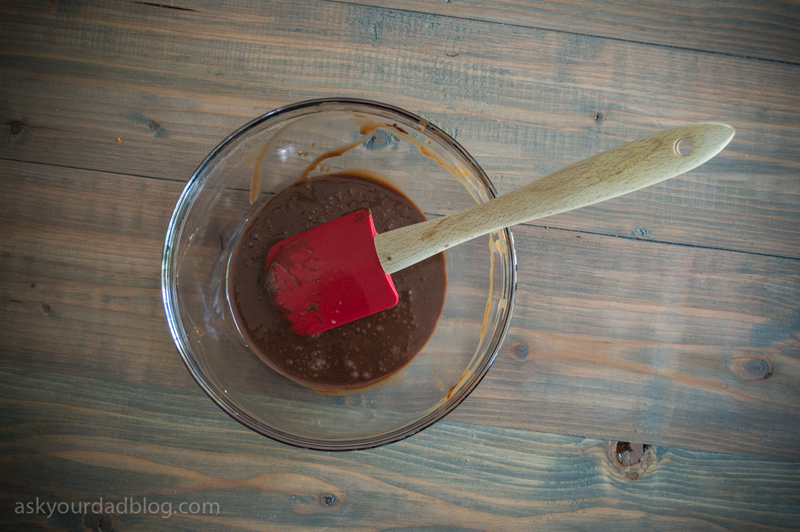 Let it set in the fridge for 30 minutes or so and you're ready to roll. 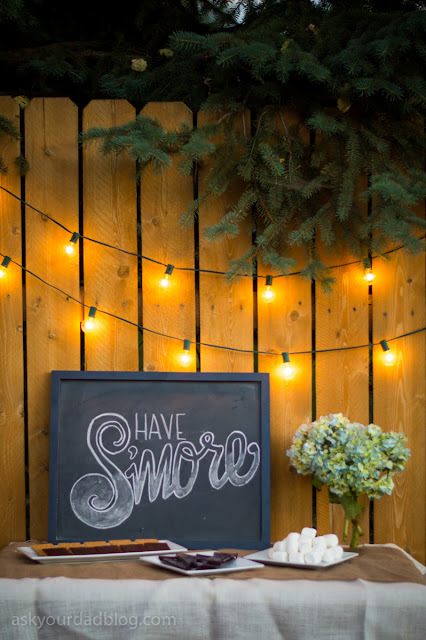 Now add your fire as mentioned and nom them s'mores. 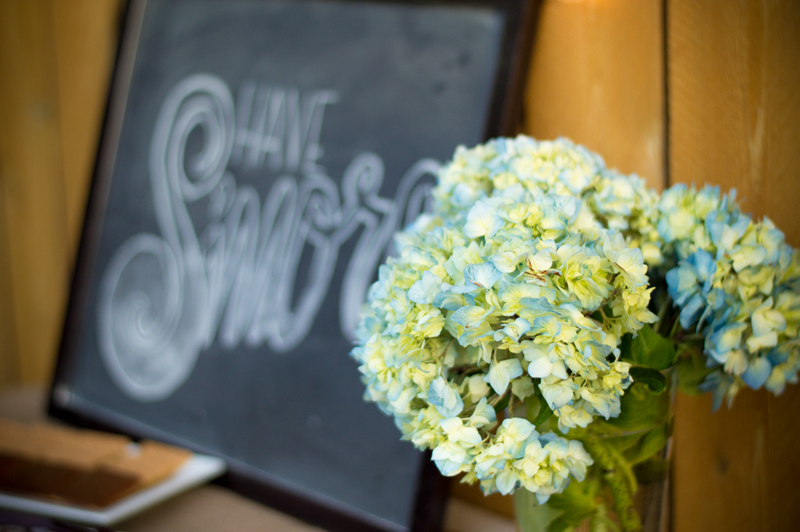 Create a tablescape in your backyard to make things fancy. Maybe chalkboard signs and string aren't your thing. But they are definitely mine. So tell me. 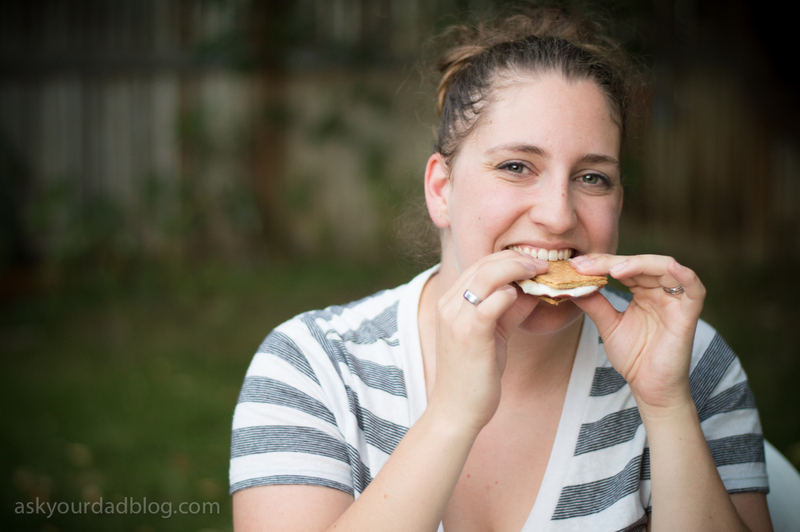 Have you given that first life-changing s'more to your kids? Waiting for the perfect holiday? Let us know in the comments! 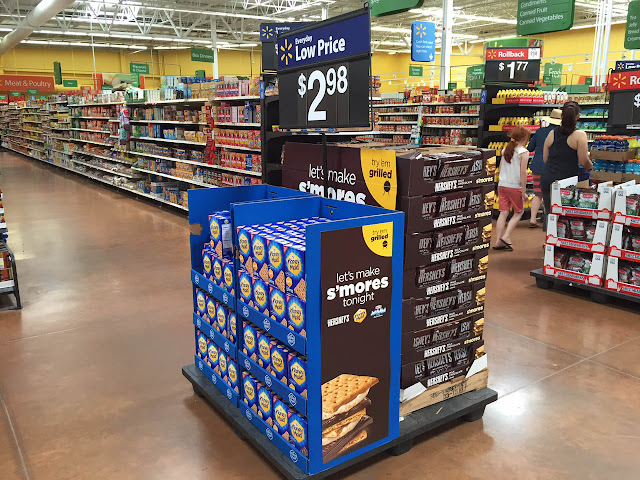 Oh, and if you are looking for S'more stuff, just look for this display at Walmart!